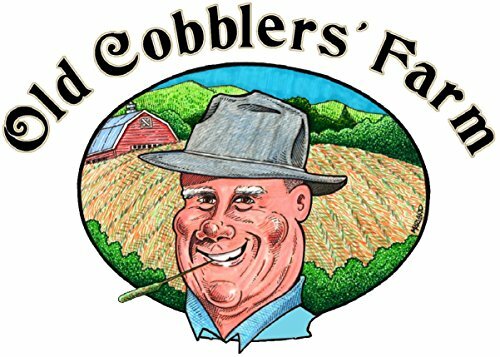 Premium Green Sand Fertilizer By Old Cobblers Farm 10lbs. Product prices and availability are accurate as of 2019-04-19 20:20:31 PDT and are subject to change. Any price and availability information displayed on http://www.amazon.com/ at the time of purchase will apply to the purchase of this product. If you have never used the product (or never heard of it) Greensand is a mineral called glauconite, which is found on the ocean floor and mined for use as an organic fertilizer and soil conditioner. Greensand supplies marine potash, silica, iron oxide, magnesia, lime, phosphoric acid, and 22 trace minerals. Greensand works great on Southern "hard as a rock" clay soil this spring, to help improve its texture, and enrich the nutrient content of my soil without using chemicals. Greensand is one of the oldest and most generally useful tools in the organic gardening tool box. 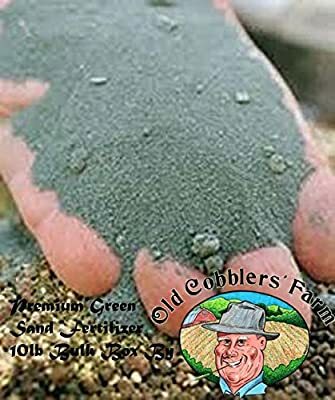 Greensand has been used since the eighteenth century as a soil amendment and slow-releasing fertilizer (0-0-3). It is one of the best certified organic sources of potassium. It comes from sandy rock or sediment containing a high percentage of the mineral glauconite (greenish-black to blue-green). It contains potash, magnesium, iron, silica and can contain as many as 30 other trace minerals. The recommended usage is to broadcast 50 to 100 lbs. per 1,000 square feet. It improves plant health in general and is also be used to loosen heavy, clay soils. It will also improve the moisture retention of sandy soils. Greensand is OMRI listed for organic use. 0-0-3 Soil Conditioner OMRI listed for organic use 22 trace minerals Greensand works great on Southern "hard as a rock" clay soil this spring, to help improve its texture, and enrich the nutrient content of my soil without using chemicals.